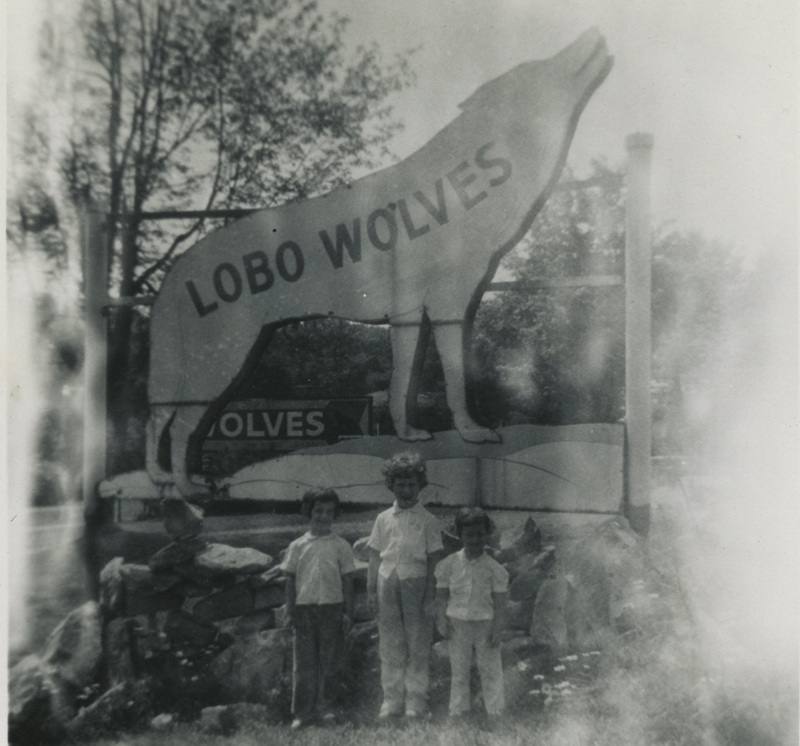 This photograph depicts three sisters (from left to right: Donna, Theresa, and Janet Staricek) standing in front of the large wolf-shaped sign that reads "LOBO WOLVES" which stood at the entrance to Jack Lynch's lobo wolf park, located along Route 6 five miles east of Kane, PA. Another sign for the lobo wolves (featuring a large arrow) is visible in the background. This item was generously contributed by Janet Ebel. If you find this archive helpful in your research, or if you use any of the information, images, or media from this archive in your own projects, please credit the Dr. McCleery Lobo Wolves Digital Archive and provide a link to www.McCleeryWolves.com. 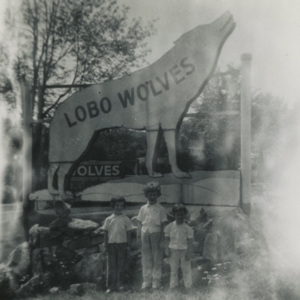 If you wish to use a photo or other media from this website in your own projects, please contact the appropriate copyright holder or contributor for permission and credit the Dr. McCleery Lobo Wolves Digital Archive.